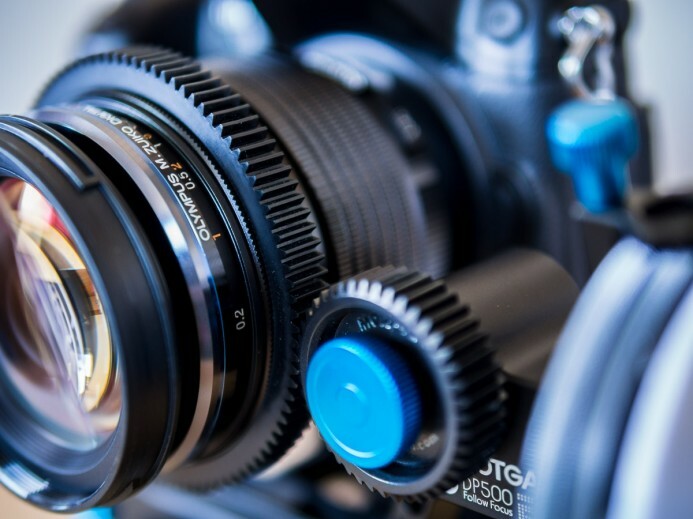 Which lens reigns supreme for video production– Panasonic 12-35mm f/2.8 or Olympus 12-40mm f/2.8? Today you get the answer. First off, don’t worry, this is a very common question. In fact, this is one of the most frequently-asked questions I receive. The truth is that these two lenses are so similar on paper that determining which one is better for video production is quite difficult. Here’s the good news: Both lenses are awesome. They are both sharp wide open and render a very nice image. Additionally, the Olympus 12-40mm and Panasonic 12-35mm are both weather-sealed, provide a nice wide-angle to medium focal range, have a constant aperture that opens to a reasonably-wide f/2.8, and are both compact and well-balanced on the GH4. Bottom line: The Olympus 12-40mm and Panasonic 12-35mm are the best native lenses you can get for the GH4 in this focal range. 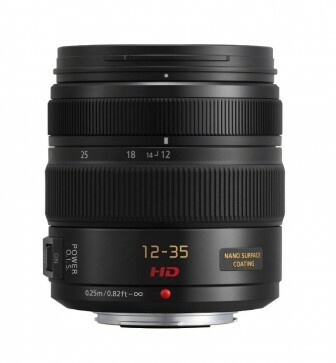 The main reason to get the Panasonic 12-35mm f/2.8 is for its image stabilization (IS) functionality. 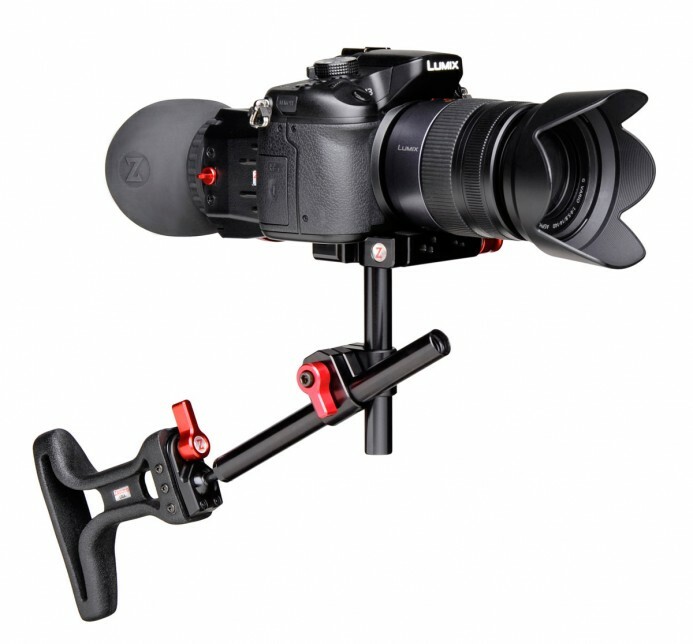 IS helps you shoot sharp stills and smooth video by compensating for your hands’ natural shakiness. IS is not magic, but it can make the difference between unusable and usable footage. If you shoot completely handheld (i.e. hands directly on the camera with no other support), then IS can be quite useful. That said, there is also a downside to depending on IS. As GH4-compatible IS is only available on a subset of Panasonic lenses, your lens options are severely limited. Of these lenses, only a few are truly great for video production, so your options are reduced even further. A simple alternative to relying on IS is to use a camera rig when shooting video. Even a minimal rig will allow you to shoot stable video with all but the largest lenses. With a rig, your lens options are now wide open. You can shoot with virtually any lens without worrying about whether it has IS or not. 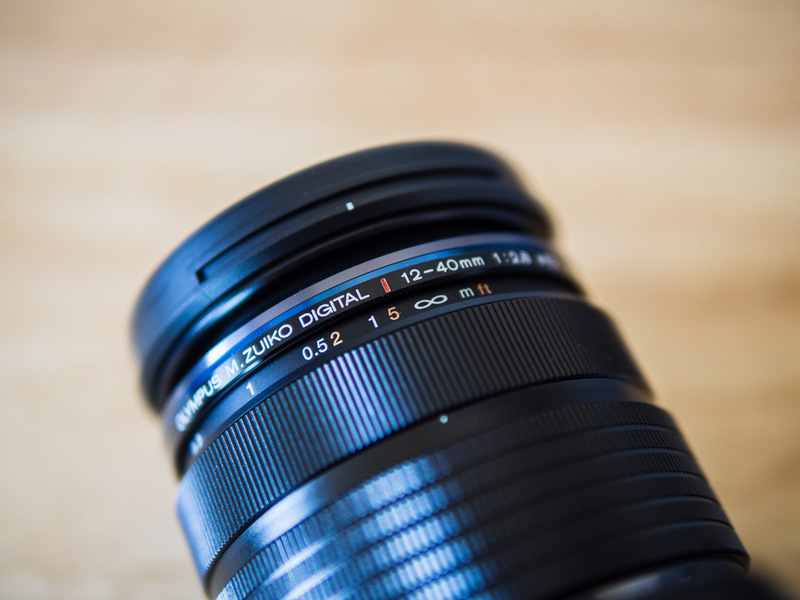 Bottom line: If you absolutely require image stabilization, then the Panasonic 12-35mm f/2.8, is your only option for a zoom lens with this focal range. The Olympus 12-40mm f/2.8 lacks IS, but makes up for it with better build quality, a slightly larger focal range, and a manual focus ring with hard stops. The Panasonic 12-35mm f/2.8 is well-made, but the Olympus lens is just a cut above in terms of build quality. 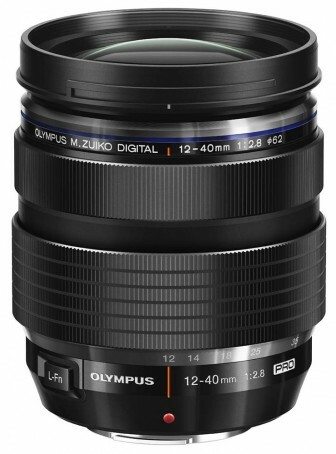 Olympus’ lens feels solid and robust, and everything moves smoothly with a nicely dampened feel. The Olympus 12-40mm f/2.8 has slightly more reach in that it can zoom to 40mm while the Panasonic 12-35mm f/2.8 maxes out at 35mm. This is a small difference, but it is noticeable. The extra reach can be handy in certain situations. For example, when you’re shooting from afar, getting even just a bit closer to the subject thanks to the Olympus’ longer focal length can make for a stronger shot. Most native lenses for the GH4 have non-linear focus control which makes repeatable focus pretty much impossible. When you turn the focus ring on most native lenses, the change in focus is affected both by the amount and speed at which you turn the ring. If you turn the focus ring quickly from point A to point B, focus will shoot to the other end of the spectrum (e.g. from infinity to MFD). However, turning the focus ring very slowly between the same points on the ring will cause focus to change very minimally. This means that setting marks (e.g. on a follow focus) for racking focus between two points in a scene is pointless unless you can also repeat the focus pull at exactly the same speed every time. Any variance in speed will throw your focus points out of whack. As a result, most native lenses are effectively useless for narrative work and other types of video production where repeatable focus is important. However, the Olympus 12-40mm f/2.8 has a special clutched focus ring that provides linear focus control and hard stops (i.e. the focus ring stops turning when it reaches either end of the focus range). Compared to most native lenses, this means that the Olympus will focus to the exact same points when you turn the focus ring from point A to point B, regardless of how quickly you turn the ring. Linear focus control is useful even when you’re focusing by hand because you can use muscle memory to repeat a focus pull. This allows you to repeat your camera move a few times and let your hand’s muscle memory handle focus while you focus on getting the best shot possible. Anything that can help you focus more fully on the shot is good. 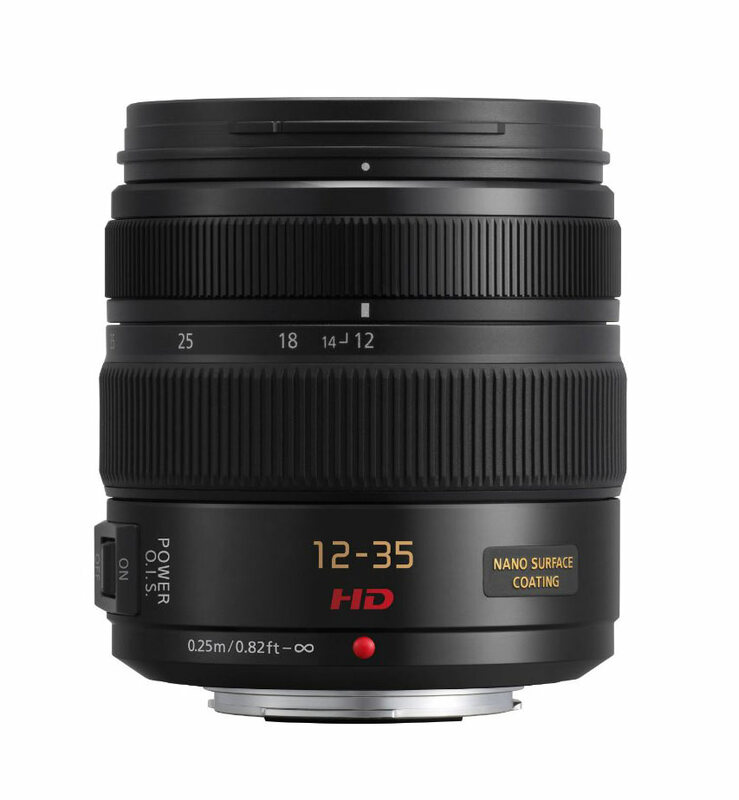 Both lenses retail for just under $1k, but I frequently see the Olympus 12-40mm f/2.8 on sale for $100 less than the Panasonic 12-35mm f/2.8. In fact, you can currently get the Olympus lens for about $150 less than the Panasonic lens after a $100 discount and a rebate at B&H. Bottom line: Repeatable manual focus and a more affordable price make the Olympus 12-40mm f/2.8 tough to beat. Since both lenses are great, the right lens for you ultimately depends on your priorities. While I would recommend using a minimal rig, if you absolutely cannot live without IS, grab the Panasonic 12-35mm f/2.8 and don’t look back. It’s the only lens of the two that offers IS, so if that’s your top priority, then the Panasonic 12-35mm is the best option. Thanks to its larger focal range and repeatable manual focus, the Olympus is the more versatile lens for different types of video production. If you hop between documentary/run & gun, corporate, and narrative production, then the Olympus is the lens that you can use equally well on all of your projects. DIY Zacuto Target Shooter — A compact camera rig that fits in your pocket and allows you to shoot stable handheld footage.